"I also started this site so that Tinkerbell would have an easier time finding me! . [Where are you Peter?] So first of all I should say that I live in Tampa Bay, Florida. I'm 53, but I'm making considerable effort and (hopefully as you can see from my photo!) having some success at staying young... maybe even childlike. But "why Peter Pan" you ask? 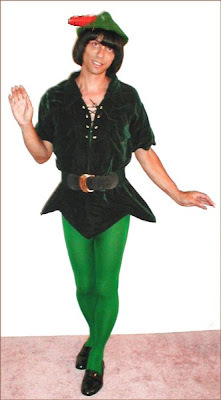 Although Peter pan is definitely a boy, to me this character is perfectly androgynous, and in his eternal childhood rejects the idea of growing up and leaving this behind." 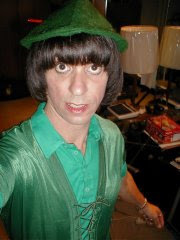 Who would have known that Peter Pan lives in Tampa Bay? Check out his other persona>> I think that Blue Boy is divine. Your thoughts?